Pfc. 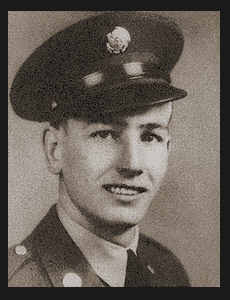 Henry W. Massey, Jr., son of Henry W. Massey, Sr., graduated from Victory School. Entered Army in Nov., 1940, trained in Ft. Bliss, Ft. Brown and Ft. Clark, Texas; went overseas in July, 1942, served in New Guinea, Bismark Archipelago, the Philippines and Luzon; was discharged in Aug., 1945. Awarded Am. Defense Ribbon, Philippine Lib. Ribbon, Bronze Star, Good Conduct Medal.